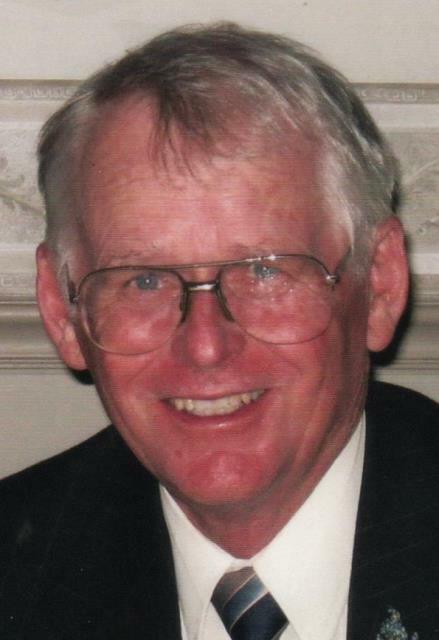 Raymond J. Morman, Jr., 76, of rural Wyanet died on Monday, April 15, 2019 at Liberty Village, Princeton, IL. Funeral Mass will be held at 10:00 a.m. on Tuesday, April 23rd, at St. Patrick’s Catholic Church, Sheffield, IL. Father Mark Miller will officiate. Burial will be in St. Patrick’s Cemetery, Sheffield. Visitation will be from 5 to 7 p.m. on Monday at Stackhouse-Moore Funeral & Cremation Services, Sheffield with a rosary to be recited at 4:30 p.m. on Monday. Memorials may be made to Glioblastoma Foundation. Raymond was born on April 30, 1942 in Sheffield the son of Raymond J. and Alice L. (Christian) Morman, Sr. He was raised and educated in Sheffield and graduated from Sheffield High School in 1960. He graduated from University of Illinois, Champaign in 1964. He married Alice E. Sturtewagen on Sept. 29, 1962 in Atkinson, IL. Raymond worked for Oscar Mayer in Seaton, IL as a livestock buyer for 10 years then worked at Oscar Mayer plant in Davenport, IA as a meat inspector in the tunnel. Raymond started farming in the Sheffield/Manlius area in 1979. He farmed for 33 years before retiring in 2011. Survivors include his wife, Alice; sons, Steven Morman (Joni Funk), Ames, IA and Brian (Jaclyn) Morman, Bradford, IL; Grandchildren, Jessica (Juan) Varela, Matt (Amber) Morman, Ian Morman, Jack Morman, and Greyson Morman; four step grandchildren, Joy Kleparski, John Kleparski, Hope Norris and Ben Norris; 8 great grandchildren; sisters, JoAnn Wright, Nashville, TN, and Susan (Leroy) Tappe, Roseville, IL and brother, Gene (Yvonne) Morman, Princeton, IL; sisters-in-law, Alma (Gerald) Loncka; Kewanee, Ann Sturtewagen, Atkinson; brothers-in-law, Vernie (Linda) Sturtewagen, Atkinson, Gene Sturtewagen, St. Louis, MO. He was preceded in death by his parents, a son, Kevin; three brothers-in-law, Carl Wright, Donavon Sturtewagen and Francis Sturtewagen; and a sister-in-law, Kathryn Sturtewagen. There's still time to send flowers to the Rosary at the Stackhouse-Moore Funeral Services, Inc., Sheffield Chapel at 4:30 PM on April 22, 2019.